Dr McCarron has joined the team at Gold Coast Dental and Denture Centre. Dr Philippa McCarron graduated with First Class Honours from the University of Queensland in 2000. Since graduating she has had experience in remote locations in North Queensland and Northern India, and spent 9 years on the Gold Coast before leaving to enjoy the rural lifestyle of the NSW Mid North Coast for 4 years. She has returned to sunny Queensland to join the progressive team at Gold Coast Dental and Denture Centre to provide patients with integrated treatment options in the same surgery. 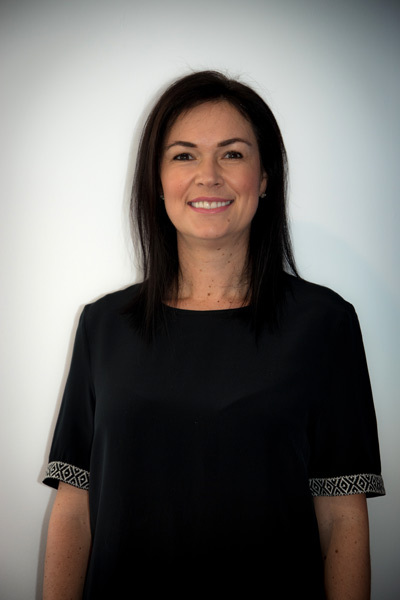 Throughout her career Philippa has committed herself to continual training and development which has allowed her to incorporate the most advanced treatments available in Cosmetic Dentistry, Orthodontics and Implant Dentistry. Her unique combination of training and expertise allows Philippa to diagnose and treat many complex cases from start to finish obtaining the best results for her patients with a maximum of convenience. If you are looking to restore confidence in your dentist, then you will find the combination of her relaxed and friendly personality will make your visit a more enjoyable experience. Philippa believes in taking the time to understand each patient’s needs as treatment needs are unique for each individual patient. Outside of Dentistry, Philippa loves spending time with her family, and training and competing in triathlons. The Hawaii Ironman Triathlon in Kona is her ultimate sporting goal and she would love to compete in the New York Marathon. James was born in Victoria and moved to Gold Coast in 1980 with his parents and two older brothers. James has lived and worked on the Gold Coast for over 30 years. A keen sportsman and lover of AFL football, James started his studies in dental technology after ditching an offer to play AFL football with the Brisbane Bears at the age of 17. He completed high school in 1986 and went on to study at Kangaroo Point in Removable Prosthetics and Technology followed by an apprenticeship lasting 3 years in Brisbane. James continued his studies at QLD University and completed the Grandfather course in prosthetics in 1994 and is currently registered as a dental technician and prosthetist. James has continued his professional development by attending multiple courses outside of his working environment, including setting of teeth and the inclination to occlusion, impression taking and compatible materials, implant over-denture retained prosthesis, oral photography and scanning, personal and administrative development in the medical field. All of which has contributed to his 26 years’ experience and knowledge in the dental profession. James is the loving husband of his Hungarian wife Imola and a loving father of his two daughters Grace Mary and Jasmine Eve. Imola also works in the practice as a dental therapist and hygienist and the two pride themselves on honesty and good family values, which is portrayed not only to their patients, friends, family and staff, but it also stretches out to the broader community. Imola has been working in private dental practices since 1996 and has graduated as an Oral Health Therapist from Griffith University. Imola is passionate about providing all preventative and hygiene services to the patients, treating children and adults alike. She focuses on maintenance and prevention, good oral health and general health, education and excellence in service. She treats all our patients equally making sure they feel comfortable in her care. Imola has also completed her post graduate studies at Adelaide University School of Dentistry in Graduate Certificate in Oral Health Science, now giving her a wider scope of practice to treat adults and be able to perform restorative treatment for any age group. She has also undertaken extensive courses in Myofunctional Therapy in the past few years and is a registered Oral Myologist, offers pre orthodontic and myofunctional treatment, to help children develop good oral habits and jaw development. She also runs our Thumb Sucking Cessation program in our dedicated children’s area and a passionate advocate for early intervention and professional help for families of young children with non-nutritive sucking habits such as thumb, finger or dummy sucking. She is married to James and they have two daughters, Grace and Jasmine, who visit the practice regularly. She speaks fluent English, Hungarian and Romanian. She is looking forward to welcoming you and your family to the practice. Our trusted assistants and receptionists help our patients and providers to coordinate their treatment plans, appointments and dental care. Please feel free to discuss any of your needs when calling or attending our practice.